Smith and Nephew Acticoat Site Silver-Coated Dressing from HealthyKin.com is an antimicrobial absorbent 3-layer dressing consisting of the following: a nanocrystalline silver-coated polyurethane wound contact layer, a white polyurethane foam layer and a blue waterproof polyurethane film layer. The dressing provides an effective barrier to microbial contamination protecting the insertion site from invasive pathogenic microorganisms. Nanocrystalline silver is also effective against micro-organisms present in the wound. 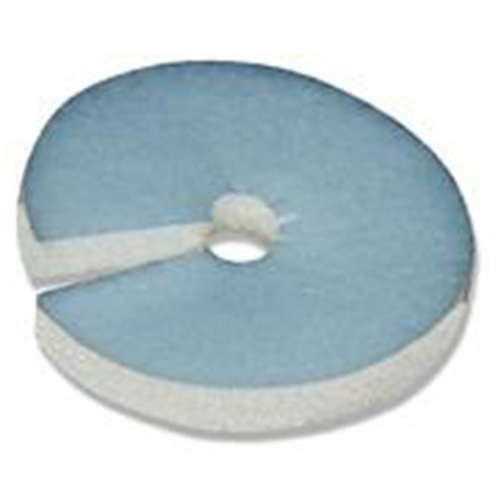 Acticoat Site is indicated as a dressing for use around vascular and non-vascular percutaneous device sites such as intravenous catheter insertion sites and external fixation sites. Acticoat Site may be left in place for up to 7 days. Acticoat Site may be used on infected insertion sites. Where the product is used on infected insertion sites, the infection should be inspected and treated as per local clinical protocol.